When you book a holiday, knowing your money is protected and peace of mind is highly important. But how much do you really know about financial protection? We appreciate that the minefield of financial protection is not easily negotiated with so many different rules and schemes set out by the government and independent bodies.  What are the different types of financial protection that may apply when booking through Oxford Private Travel? If you are unsure as to what financial protection may apply to your booking please contact us for more information. The Air Travel Organisers’ Licensing (ATOL) regime is a financial protection scheme regulated by the Civil Aviation Authority (CAA). In the UK, all travel companies selling package holidays with flights must hold an ATOL. If a travel company with an ATOL stops trading, the ATOL scheme protects all customers who had booked. If the company goes into administration before you travel, your money is protected and you’ll be able to apply for a full refund. If you’re on holiday when the travel company goes out of business, the ATOL scheme guarantees you’ll be able to finish your holiday and return home. Our ATOL number is 10924. When you book a protected holiday through us or one of our suppliers, you’ll receive an ATOL certificate as soon as you pay for your holiday. The certificate explains how you are protected. The Association of Bonded Travel Organisers Trust Limited (ABTOT) provides financial protection under The Package Travel and Linked Travel Arrangements Regulations 2018 in the event of a company’s insolvency. Protection is provided for non-flight packages and flight inclusive packages that commence outside of the EEA, which are sold to customers outside of the EEA. ABTOT cover provides for a refund in the event you have not yet travelled or repatriation if you are abroad. When you book a protected holiday through us details of this will appear on your booking confirmation. If you’ve booked your trip and have paid on your credit card, you might be able to make a claim against your credit card company if the company were to go out of business. This claim is under Section 75 of the Consumer Credit Act 1974. Section 75 of the Consumer Credit Act 1974 applies to goods and services paid for with your credit card. When you book a holiday through The Oxford Ski Company you have the option to make payment directly to our bank (BACS/Online Banking) or by debit card or credit card. Not every travel insurance policy will cover you if a company goes out of business, so it’s best to read the small print and check with your travel insurance provider. It’s also worth checking whether the provider will cover you for the whole holiday if you’ve booked your flights, accommodation and car hire separately. As an example, you might find that your travel insurance will cover you if the airline goes into administration but that you can’t claim for a refund on your accommodation or car hire. If you’ve booked a flight package from The Oxford Ski Company, your holiday is 100% financially protected under the ATOL scheme. Given the ambiguity around financial protection, several insurance companies offer independent protection via insurance policies. These are often referred to as End Supplier Failure Travel Insurance. For a relatively small fee, you can take out a policy that will cover you should your hotel or travel company go bankrupt before or during the course of your holiday. Whilst schemes like ATOL and ABTOT are robust, when booking an independent hotel, chalet or apartment, getting the extra peace of mind from such a policy is money well spent. There are many great schemes offered by companies such as Holiday Extras and Direct Line as well as comparison sites such as Money Supermarket.